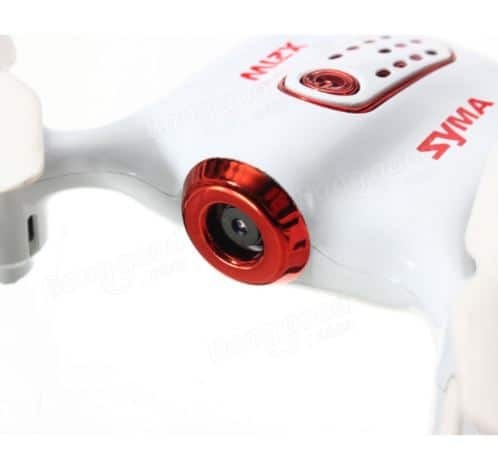 Today we’re going to take a look at Syma X21W review, one of the cheapest and smallest drones that still packs quite a punch. X21W is what I call a palm drone. It’s very small, with only 13.5cm across, and around 3cm in height. To put it in comparison, its older brother Syma X8SW is 50cm across and almost 20cm tall. Syma is a manufacturer with over 10 years of experience in creating drones and other electrical gadgets. They won’t disappear over night, or anything like that, should you need after-sale support. Who are small drones good for? 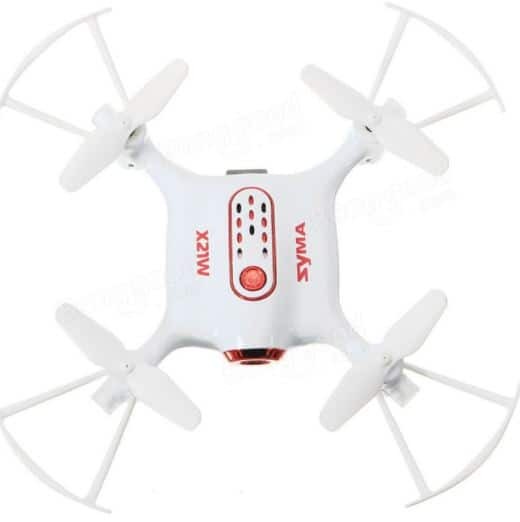 If you’re not a fan of small drones, then you should probably skip Syma X21W drone and go for something like Syma X8SW. 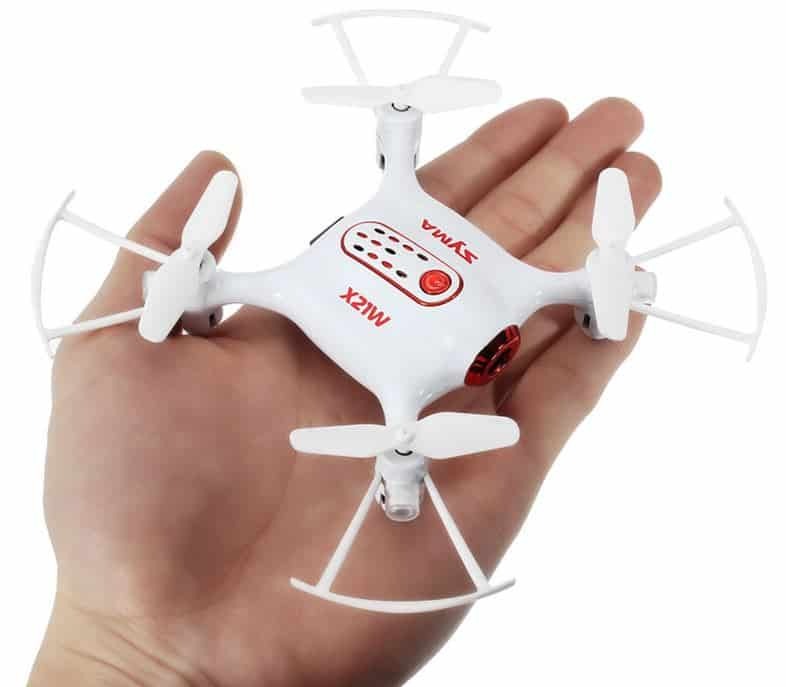 Newcomers to the world of drones, regardless if you’re a kid or an adult, are however encouraged to buy smaller drones. Most of the time they are cheaper, and easier to control, so it’ll be easier to learn how to fly the drone. Plus, smaller drone can be flown inside the house, if the weather doesn’t allow you to go outside. Let’s first get the basics specs of X21W out of the way, for all those who don’t have the time for the full review. Despite the small size, X21W has pretty decent specs. I was pleasantly surprised when I found out what this little guy hides under the hood. Why should you be interested in Syma X21W? Drone supports the so called headless work mode. At the press of a button the pilot doesn’t have to worry about the drones orientation in space. Built-in barometric sensor is used in order for the drone to determine how high it is flying. Upon releasing the controls it won’t fall down, but keep flying at set height. There’s a small 0.3MP camera at the front of the drone. It even supports FPV. 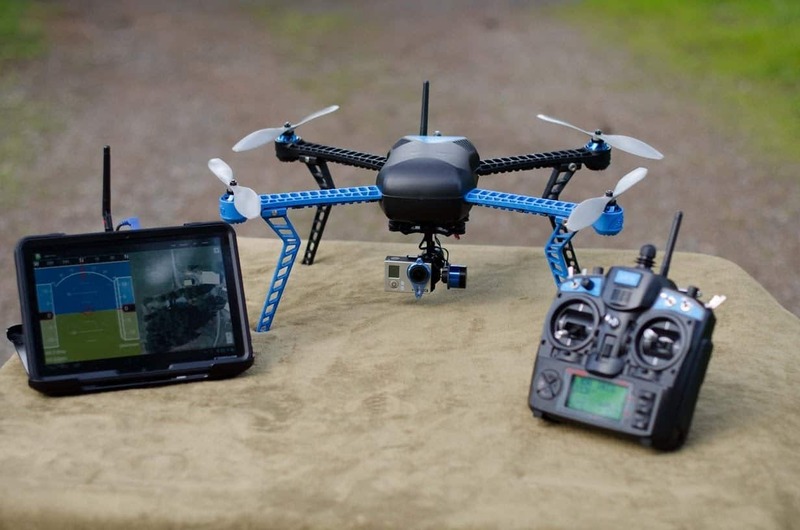 You can hook up a smartphone to the controller and use live video feed for drone control. “Syma Go” app, available for both Android and iOS, gives the user FPV capabilities, full control over the drone, and offers a lot of other cool features like waypoint control. It allows you to plot a route for the drone to follow using the “Syma Go” app interface. After hitting execute drone will fly along the set path. 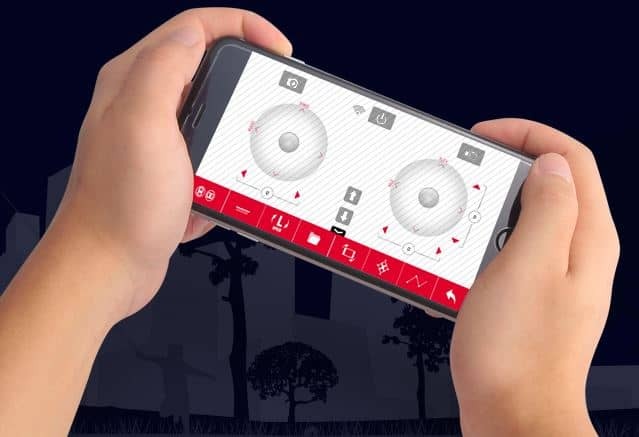 Smartphone controller app “Syma Go” has a lot of options, from setting trim, to actual controls for flying the drone. It’s more advanced than the physical controller. Another feature of the app. 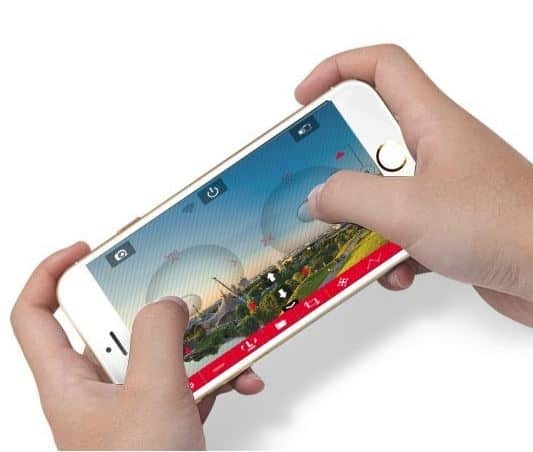 After activating this mode, you’ll be able to control the drone using phones gravity sensor. Tilt phone back, forward, left, right for control. Low battery indicator flashes lights on the drone when battery is about to go out. There is also overcurrent protection for saving motors in case of current overload. Last reason why you should be interested in this small little drone is the price. For around $50 you get a lot of cool features. It’s a great deal for your money. Amazon currently has this drone listed for $49. Banggood on the other hand has it for around $39, whole $10 cheaper. In the interest of full disclosure I thought you should know that there is a cheaper option other than Amazon. Keep in mind that if you decide to go with Banggood you don’t have Amazon support to lean on in case of problems with the device. 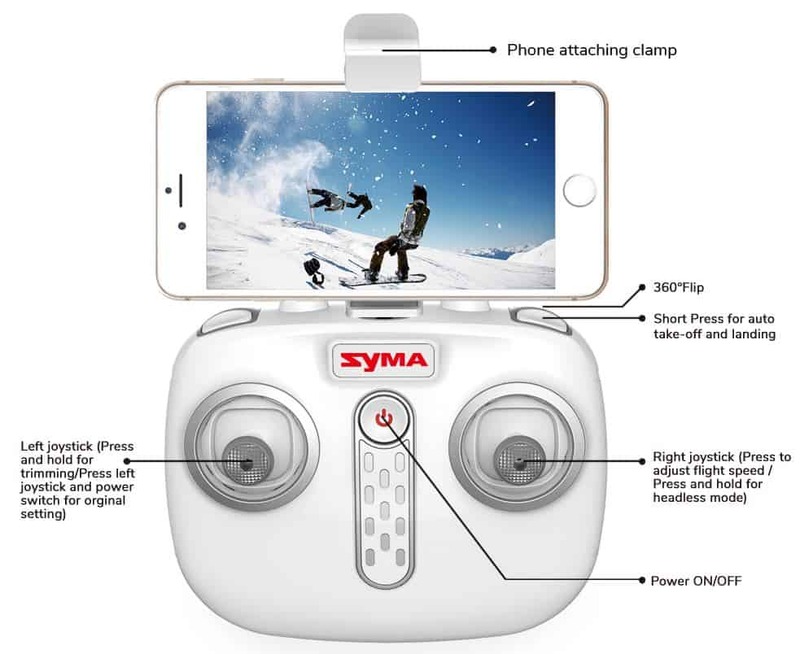 Syma X21W is what they call a pocket drone. Overall design of the drone looks very bulky, like a tank. Camera is embedded in the drone head, its front side. Bigger drones have it down below, on the drones belly. Three colors are available black, green and white. Blades are easily removable via a simple plug-and-play operation. LEDs are included. They are placed under the blades. They will blink when the battery is about to go out, warning you to land the drone. All in all, beefy look and well built. Despite the low price and small size, X21W has a lot of interesting features that users can have fun with. Let’s have a deeper look at what they are. Drone has a barometric sensor that allows it to maintain altitude after you release controls. In other words, if you fly the drone 60ft in the air, and release the controls, it will stay at 60ft. It only goes down if you order it to, or it runs out of battery, 🙂 . This functionality is also know as altitude hold. Controller comes with a clip that lets you put a smartphone atop of it. By connecting the phone to the camera you can then catch a live feed from the camera on the drone screen. Camera is 720p with 0.3MP. Drone has a micro SD slot for storage. Videos and photos can also be stored on the phone when in FPV mode. “Syma GO” app doesn’t only stop at the FPV function. 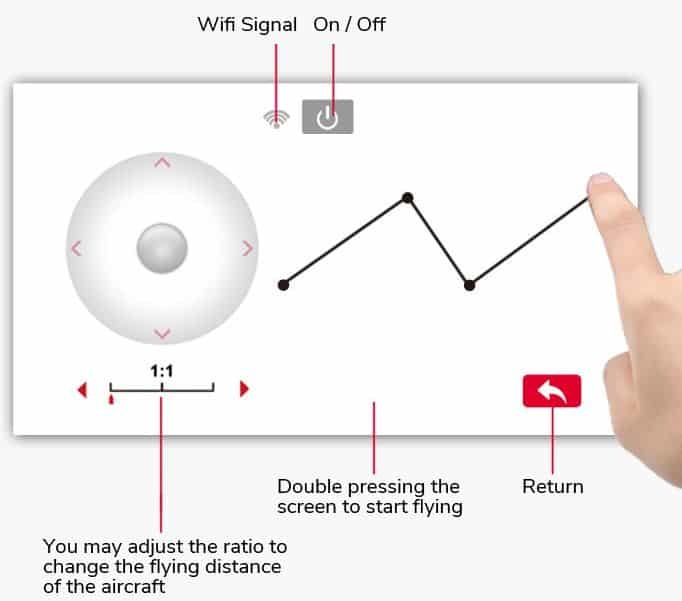 It also gives the user option for controlling the drone using on-screen controls. App actually has more options than the controller. For example the app is what’s used for activating and managing the waypoint and gravity control modes. Waypoint function is something that I had a lot of fun with. It lets you use the Syma app to draw a path on which the drone will then fly after double tapping on screen. You can draw shapes, paths, you name it and then drone will follow it. How neat is that. Make sure to use points for direction changes. Curves don’t work. Have you been playing a lot of games on tablets or smartphones? Racing games perhaps? Well then you have plenty of experiance with the gravity control function. It works by using phones gravity sensor (via Syma app) to fly the drone by tilting the phone. Headless mode is available. While headless mode is active, it’s no longer necessary to keep an eye on the drones orientation when changing direction. In other words, you don’t have to point its head into the direction you want the drone going. The controller become the point of reference in space. Drone is very easy to fly. Remote control, both the physical one and when using app control, are very responsive. Like all Syma drones, top right trigger can be used as a one key take off. Before doing that, make sure to turn on the drone, and the controller. Due to its small size, the drone is easy to maneuver even in closed spaces. I know you probably shouldn’t fly drones in your house, but I did it because I’m a rebel, 🙂 . The thing I had most fun with are the waypoint and gravity control work modes. Before X21W I never played around with these kind of controls and I have to say that they are very fun. My favorite would have to be the gravity control. Give it a try if you decide to go with Syma X21W. JJRC H28C – unique modular drone that’s easy to carry no matter where you go.